Product information "NodOn Soft Remote"
With the NodOn Soft Remote remote control, the Smart Home will become colorful child’s play. 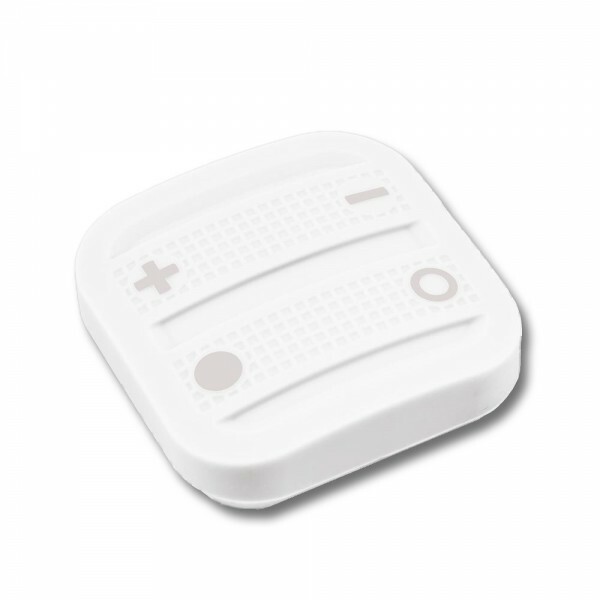 The Soft Remote can control any kind of Z-Wave devices directly (stand-alone mode), e.g. switching the outlets, driving up and down the shutters, dimming the lights. Connected to a Z-Wave control center, it is also possible to activate defined scenes by push of a key (gateway mode). Spray water and shock proof, the Soft Remote can be used anywhere in the house. Its embedded magnet allows to fix the colorful remote control everywhere on metallic surfaces such as heater or fridge. Related links to "NodOn Soft Remote"